It’s said that few tragedies equal that of the parent who has to bury their own child. So much more shocking, then, the parent who takes their own progeny’s life intentionally. Saturn Devouring His Son, maybe the most recognizable of aging painter Francisco Goya‘s disturbing “Black Paintings”. 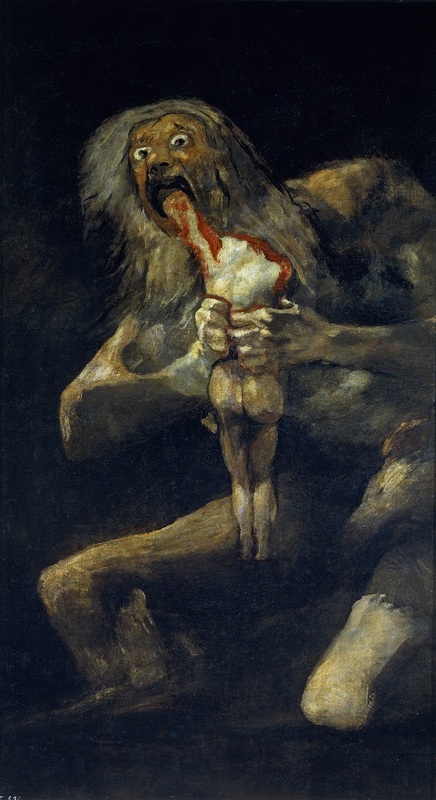 (Goya also gives this blog its banner). 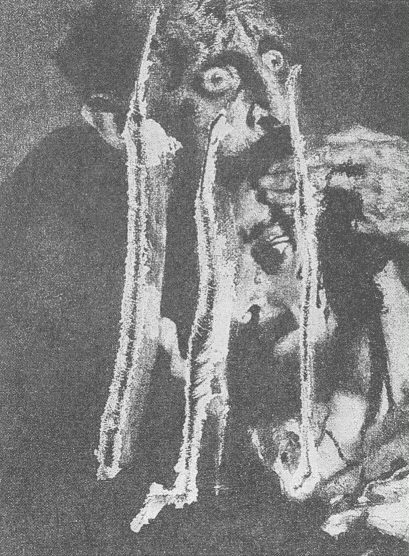 Filicides are amply represented among those crimes that become media sensations, and when they happen to occur among the great and powerful they can scar the memory of a nation: think of Suleiman the Magnificent executing his own heir, or the homicidally mad Crown Prince Sado locked in a rice chest to save Korea’s dynasty. 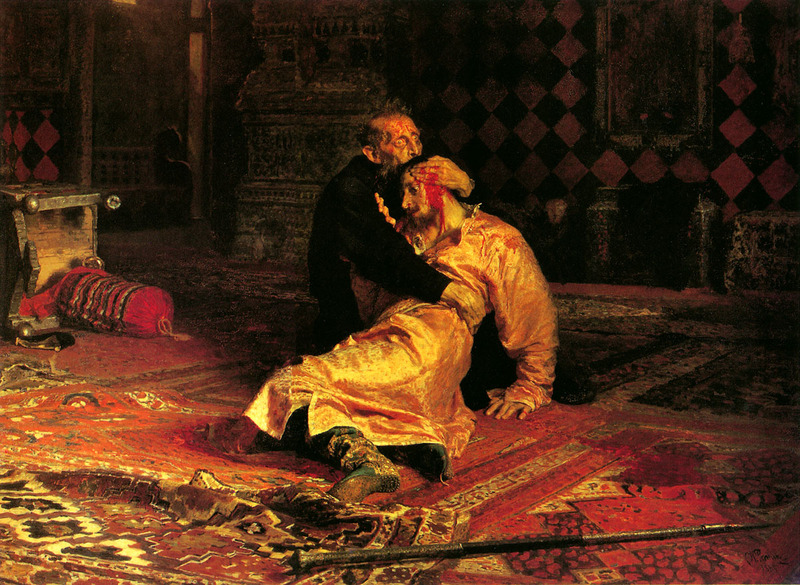 Detail view (click for the full, gorgeous canvas) of Ilya Repin‘s emotional painting of Ivan the Terrible the moment after he has struck his son dead, dooming the Rurikid dynasty. 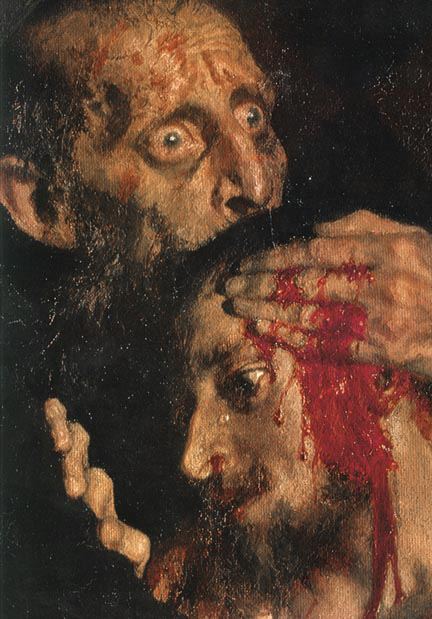 Incited to his own act of lunacy by the tsar’s riveting madman expression, iconographer and Old Believer Abram Balashov slashed these faces with a knife (image) in the Tretyakov Gallery in 1913. Despite the special horror reserved for filicide, it is not a rare event in the annals of crime. After all, it is axiomatic that crimes tend to be committed by people near enough to be of the same circle as the victim. What circle is closer than the family itself? Singer Marvin Gaye was shot dead by his father.